I spent half a year in India a few years back. I helped in slums and orphanages and visited children with AIDS. I saw a lot of misery and poverty. When I came back to the Netherlands I was conflicted by the superficiality I saw around me. I had a hard time finding any meaning in what I was doing. The design challenges I faced in my study seemed like unimportant luxury problems. But as I developed as a designer and as a person, I started to change my perception. I started to see that helping someone who is poor isn’t necessarily better than helping someone who is rich. Reaching out to people around you isn’t less valuable than reaching out to people on the other side of the world. There might be places in the world in which people face real poverty, but just because a country is ‘rich’ doesn’t mean there is nothing left to improve. Often these ‘rich’ countries are very poor on a spiritual and emotional level. The world can seem like a cold place sometimes. Every time you turn on the news you see people full of rage protesting against authority, conflicts that can’t seem to be solved, hatred and despair. On a daily base you pass by countless strangers who seem emotionless and distant. You could be sitting directly next to someone in the bus and still feel completely disconnected to him or her. You can’t be everywhere. You can’t make a difference everywhere. That’s OK. I was born in the Netherlands and I live here now. So I better use my time and my specific place on this earth to the best I can. You have a tremendous power within you to do good. You can go through life by making things around you worse, leaving them as they are or changing them for the better. This doesn’t always have to be in big things. It is about holding open a door for someone, smiling at a stranger or giving a compliment to a colleague. Once you recognise this power, you will find that it doesn’t have boundaries. It is strengthened by your hope, imagination and perseverance. I folded 1000 origami cranes and gave them away to random strangers as an attempt to brighten people’s day. You never know what is going on in someone’s life. Over time I have seen that we aren’t that different from each other. In a way we all face similar troubles, heart aches, pain, regrets, worries and fears. Just because you don’t know someone well enough to point these specific personal challenges out doesn’t mean they aren’t there. In the same way we share the good things in life: the emotional highs, inspiration, hopes and dreams. I wanted to reach out to people and let them know that whatever they are facing in this moment in time, both good and bad, I wish them the very best. I want to bring people closer to each other: to break the distance with a bridge of hope and kindness. I want to show that you are connected and loved, even if you don’t experience it all the time. In another way I hope to inspire people by showing them that it is possible to break conventional boundaries. The fact that something isn’t a ‘normal thing to do’, doesn’t have to limit its existence or value. If I can touch somebody with the simple act of giving away a crane, imagine how much you can do by carrying out your ideas, hopes and dreams. I want to show that you can do so much if only you have the desire to make positive changes in your tiny circle of influence. The power that lies within you is so big, if you just approach the world with a loving heart and courageous moves. Imagine if we would all try to tap into this power a little more often. My paper cranes might mean nothing to some. I don’t expect everyone to understand and appreciate my gift to him or her. But if I just touched the lives of a few, of just one, if I just made someone’s day a little bit better, my mission was successful. As an actual recipient, a heartfelt thanks for the gesture. This is such a touching and heartfelt post. Beautiful. Here’s to showing that we care… one person at a time and in every way we can big and small. Have a great weekend, Marielle! Wow Marielle! What looks like the conclusion of the 1000 cranes project, is actually endless when put together in a video. This is beautiful! Your purpose has really touched me, just as if you’d given me a crane. Or maybe your blog is a big paper crane? I don’t know you in real life, but I’m sure that even the man that tried to steal your bike must have felt a sudden surprise yet a joyful vibe. Really a nice post. It reminds me of two salesgirls in AH. They always smile to you when dealing you case. That would really meke you cheerful somehow. So I always go to them to pay the bill, even though the waiting line is longer than others. Haha great example of how something as simple as a smile actually influences your action. Thanks for sharing! Wow. I love this. Everything about this! Just the time and effort put into this, combined with the reasoning behind it? It’s beautiful. The video is great. It really touched me as the crane did last week. Thanks for the message. You are an inspiration to me. I should not only think about what I can do to touch somebody, but I can actually do it. A smile a day makes a whole lot of difference. You are so inspirational :) Thanks for this. It’s uplifting. This is amazing! I would have loved to have been a recipient of one of these. People don’t realize that one good thing you do for someone else can really lift up their spirit. 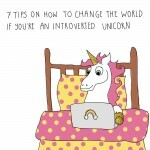 Found your blog through Elycia and glad I did! I’m following along to see more of your adventures now! I love your photos from Japan, so pretty! I would love to go there one day. So happy to welcome you on my blog! Truly wonderful. Thanks for sharing. I have been leaving paper cranes at restaurants, etc. for a few years. I never know if they are just thrown away or enjoyed. I like to think that it brightened someone’s day and made the world a little less scary. That is so awesome! I actually started with just carrying one in my wallet for selective situations that I didn’t know how to help or handle but wanted to do something. :D yay thank you so much for you kind words, they brighten my world in return! That’s awesome! It’s not about the numbers but about the intention. 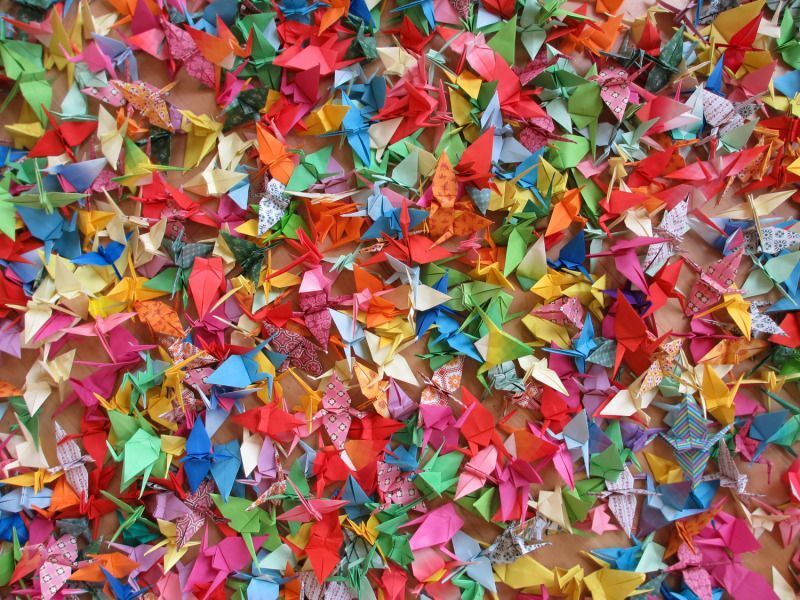 I just wanted to set myself a large goal and liked the symbolic meaning and story behind folding 1000 cranes. But even just 3 cranes would be great! This is such a beautiful thing to do. Sometimes it just takes a simple gesture like a smile to make someones day change for the better. I wonder how many people’s day you cheered up. How absolutely wonderful! :) Thank you for finding me. I do so appreciate others who also find joy in folding paper cranes and leaving/giving them to strangers. I know the response from those who got back to me has been overwhelmingly positive. I imagine people who’ve received or found your cranes feeling the same. It’s important for people to try to give back and further kindness in any way (big or small!) that they can. Bravo Marielle! I’ve toyed with the idea of giving cranes out to specific people as my next project when my current 1000 crane project is completed. (At this rate, probably another 3 years!) I loved the video you did for your blog. It looks like you received a lot of joy from giving them out. :) Have written a little ditty about it on my fb page. Keep up the good work and don’t stop being you! Hi, I loved your post and featured it on my blog with appropriate links. Thank you for making my day and making it brighter. Now I know where to go and what blog to read even on my grayest days. Best of luck! From Washington state, USA. I love the importance of place. We often underestimate the importance of place. Of our location. Our land. The people in our proximity. The community of our location. I really appreciate your desire to reach out to the people in your specific place. The Netherlands is great to have you. I’m glad that my place is Chicago. I am deeply connected to this city and love sharing my art in its public spaces. Thank you for sharing these wonderful thoughts with the world. You are really inspiring and I started thinking, what I can do, here where I am. Thank you! You are so inspiring! Here at Adams Elementary in Indianapolis, Indiana, we are celebrating you as a person who loves art and loves making people smile with your creative actions! The whole school of 500 kids considers you a great artists and we wanted to let you know how wonderful we think you are! We’ve folded thousands of cranes and we will be giving them to a teacher with cancer, but for the remaining cranes after the 1000 we’re folding for her, we want to share them with others to help put a smile on their faces! Thank you for being such an incredible role model and person! You can’t imagine how much your comment made my day. I am very honoured to be considered as a role model. I think it’s wonderful that you all are working together to make other people smile. Please let your students know that I’m so happy to hear about them and so proud of them. They can change the world. I truly believe that. Well I didn’t get a crane, because I live in Central Africa, but by looking up how to make a crane for my wife, I found your blog site, and ended up watching your video. Seeing people’s surprise and delight in getting a simple, unexpected gift was a gift for me this morning as well, so now I feel like I got my crane after all. Thank you! I’m also thinking about how I can pass that gift on, which I think is a very important thing to do. Thank you for your beautiful spirit and for brightening my day no end. Thank you! Have you folded a crane for your wife yet? Is it for a special occasion or just because? Good luck! Oh wow! I just read your introduction page and spotted that you had already travelled to Gabon, which is where my wife and I live. Normally there would be no ‘wow’ factor, but as you might have surmised, it’s very hard to meet anyone else who’s actually been there. Let us know if you’re ever back this way again. Yeah I lived there 4 years as a kid, until I was about 9 years old. I have such fond memories of the place! Thank you for being so inspiring, feeling down after the passing of my grandfather last week and needed some creative ideas and found your video, going to do this in my own city. thank you!